If there was only one tip I could pass on to every woman I know, it would be this. Take the time to use all the items you already own. It is so simple you can do it now. Take the time to pamper yourself with the items already in your home. You will notice the difference immediately and what’s better won’t have spent anything at all. Instead of searching for the latest “it” products, use what you have. Paint your nails, moisturise your hands before bed, use the divine smelling body lotions and take the time to style your hair. As you can see from my previous de-cluttering post, I am more than guilty of not doing this, but it’s easier to buy something new and believe you will use it, than to actually go find your unloved products and use them. I guarantee you’ll feel better and people will notice too. 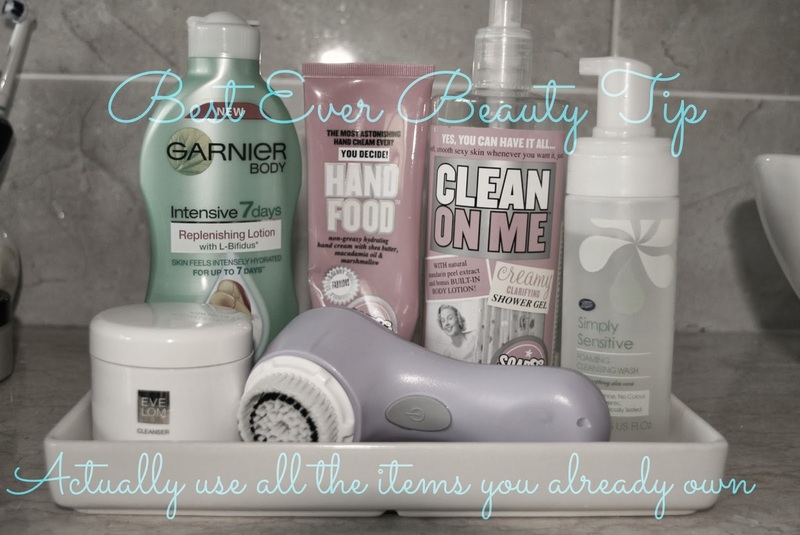 5 Fantastic Cleansers For Over 30’s Under £20!